Josh Pell, designer and founder of Nookiee unveiled at this years’s NYCC Ghostbusters footwear. 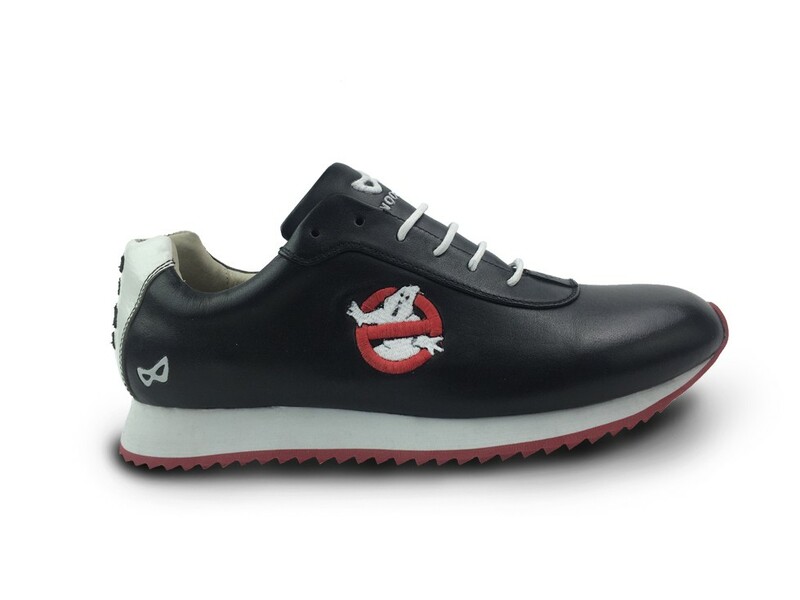 These high end kicks (yeah I’m cool) besides being stylish (depending on your age and tastes) emulate our favorite Ghostbusters (which is all of them naturally) along with additional designs featuring the “no ghost” logo and Gozer. My friend Tom Gebhardt (center pic above) provided more info. 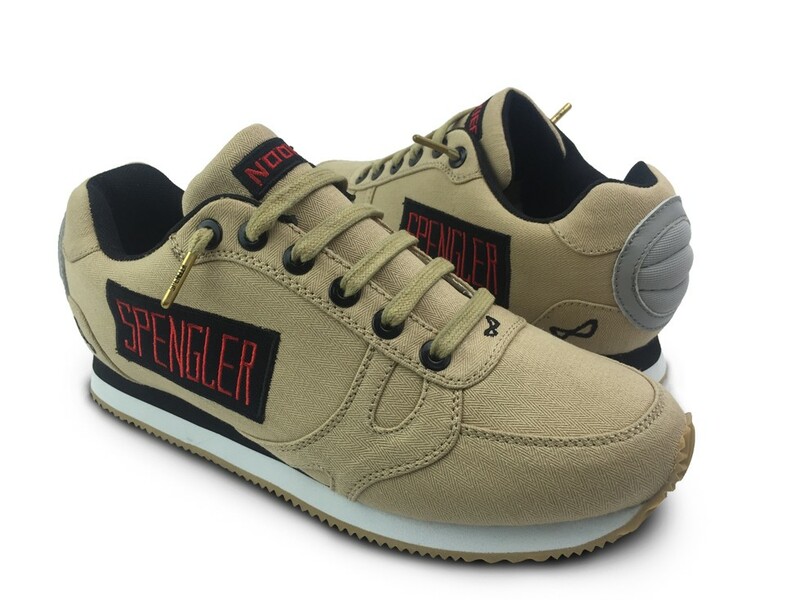 They are color matched off Spengler’s GB2 uniform archived by Sony making them even more unique with same herring bone style stitching. Incorporated name patches, elbow pads, eyelets from utility belt, brass lace ending, same as zippers of uniform and that’s not all. They also have limited edition to have your name stitched on as well. Thanks buddy, let’s take a closer look! 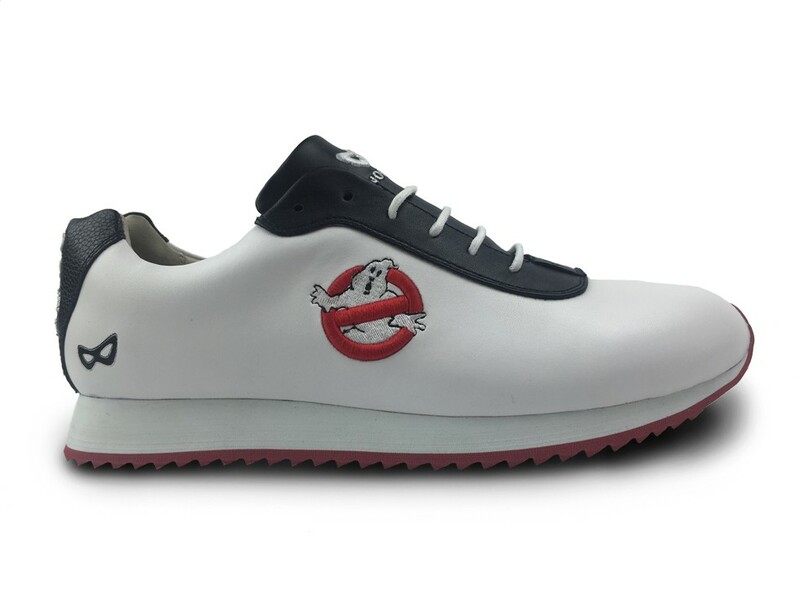 The main Ghostbusters footwear are khaki colored (and depending on the lighting even emulate the movie uniforms!) to resemble the Ghostbusters uniforms. Each character’s name patch are on both sides of the shoes. Nookiee even strategically placed the “elbow pad” at the heel. 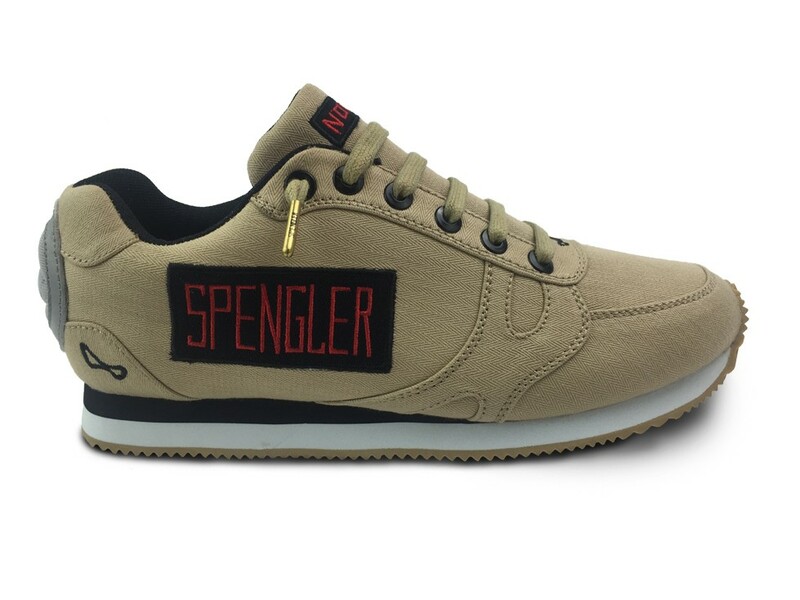 If wearing uniforms on your feet aren’t your thing Nookiee offers a “no ghost” logo shoe. Heel area reads “Who ya gonna call?” Either color and style are available in men’s and women’s sizes. For the real trendsetters Nookiee also has this Gozer design. Zuul may have been a footwear model, we can’t be too sure about that. :p The design features Gozer from the rooftop temple scene in Ghostbusters. The heel area features an embroidered “no ghost” logo. If any of these are to your liking, they’re available to buy now.